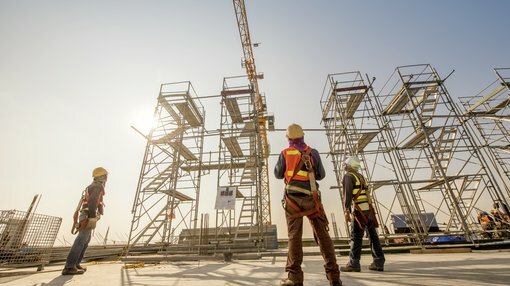 Last week’s award of a $2.7 million contract to provide prefabricated concrete for a Western Australian high-rise project was one of a number of notches in the belt for WestStar Industrial Ltd (ASX:WSI), an industrial services with a unique range of capabilities. The company’s three specialist operating businesses, Precast Australia Pty Ltd (concrete fabrication) SIMPEC Pty Ltd (construction contractor) and Distinct Developments (property developer) have been successful in winning new work across a broad range of sectors throughout fiscal 2019. There appears to have been an acceleration in its contract success over the last three months, having won work in relation to both essential infrastructure and mining projects. It is this degree of diversification that distinguishes the company from basic mining contractors working in narrow fields where the competition is intense, usually resulting in difficulties in winning work or having to bid for contracts that offer low margins. The latest contracts which relate to the construction of the new Arthouse Apartments building in Joondalup and the supply of precast concrete for the University of Western Australia follow-on from other key infrastructure projects in Western Australia such as the Forrestfield Airport Rail Link, the Thompson Bay boardwalk at Rottnest Island and the Swan River pedestrian bridge. WestStar has a strong pipeline of infrastructure projects. While the Western Australian construction industry has been through a lull, management said that the precast market is showing signs of improvement with activity and award levels picking up significantly. With these awards, WestStar has accumulated contracts totalling approximately $33 million for the nine months to March 31, 2019. Given the market is improving, management said that the outlook for the Precast business is very positive. Both Precast and WestStar’s other operating business SIMPEC Pty Ltd have been very active in tendering, particularly in the last quarter. Outcomes from these tenders have the potential to maintain recent strong momentum in the company’s share price which doubled from 1.3 cents in December 2018 to hit a 12 month high of 2.6 cents in late February. Last Friday’s closing price of 2.2 cents isn’t far off its 12 month high, and the result of upcoming tenders could be the clincher in terms of seeing it make another high before the financial year closes.